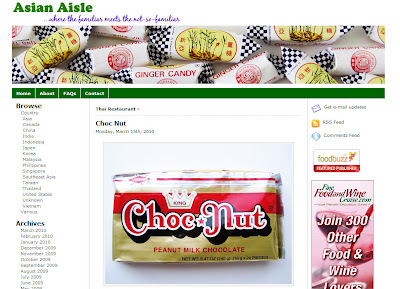 Last August I won the 1st Asian Aisle blog giveaway! I wasn't expecting such a big prize package! Because I wanted to thank Cindy for the great prizes, I picked out a few treats for her while I was in the Philippines. Today she featured one of the products. Head over to Asian Aisle to check it out!